Second part of my how to paint tut. Hello and welcome to part 2 of my painting tutorial. In this part I am going to show you how to paint the white, the metalics and some of the fine detail. 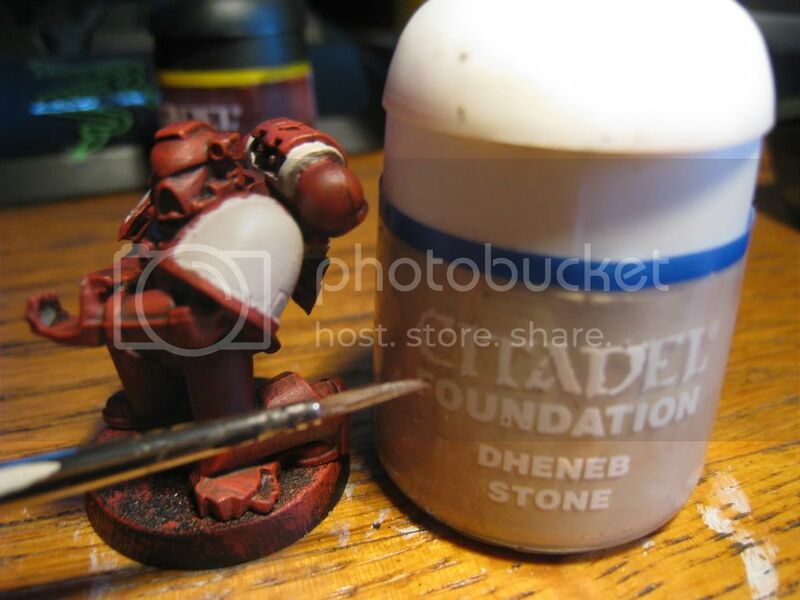 Begin by painting the shoulders with Dheneb Stone (citadel), with our size 0 paintbrush. Then paint all of the metalic areas (a.k.a. the joints, some of the rucksack-things, etc.) 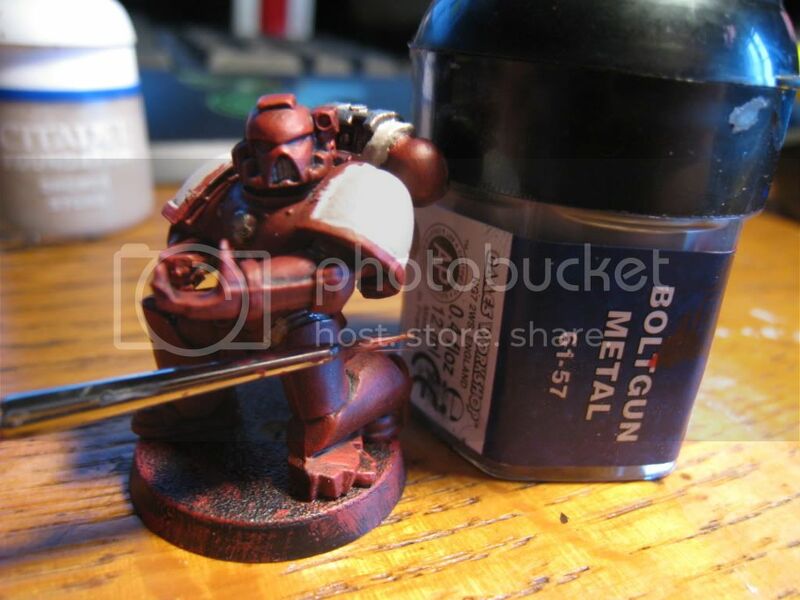 Boltgun Metal (citadel), again with our size 0 brush. 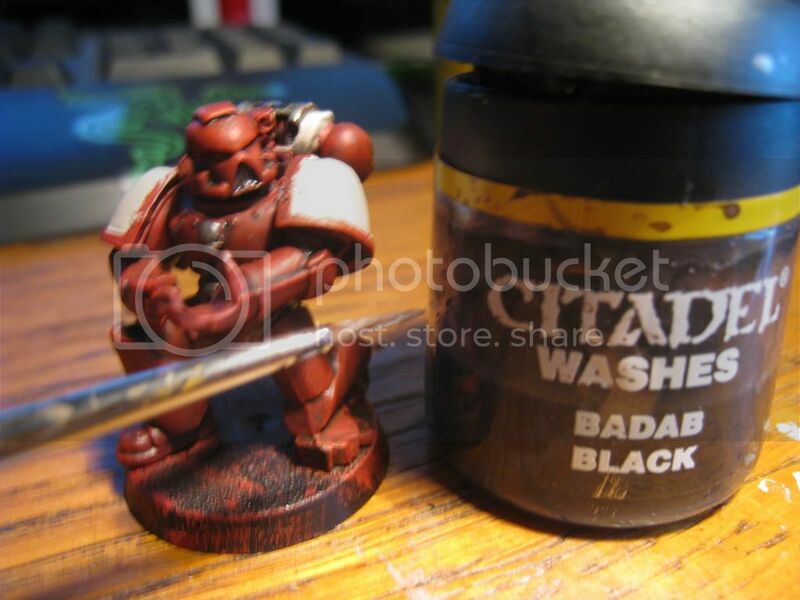 Wash all of the Metal areas with Badab Black (citadel), this time with our size 1 brush. 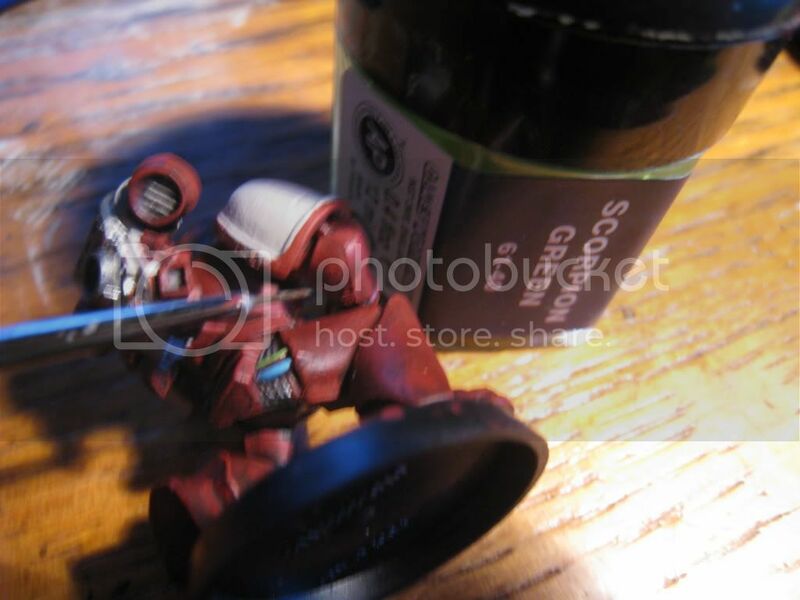 I then proceed by painting the shoulder-pad rims Chaos Black (citadel), with our 5-0 brush. I painted the cable on the leg with Ice Blue and Scorpion Green (both citadel). 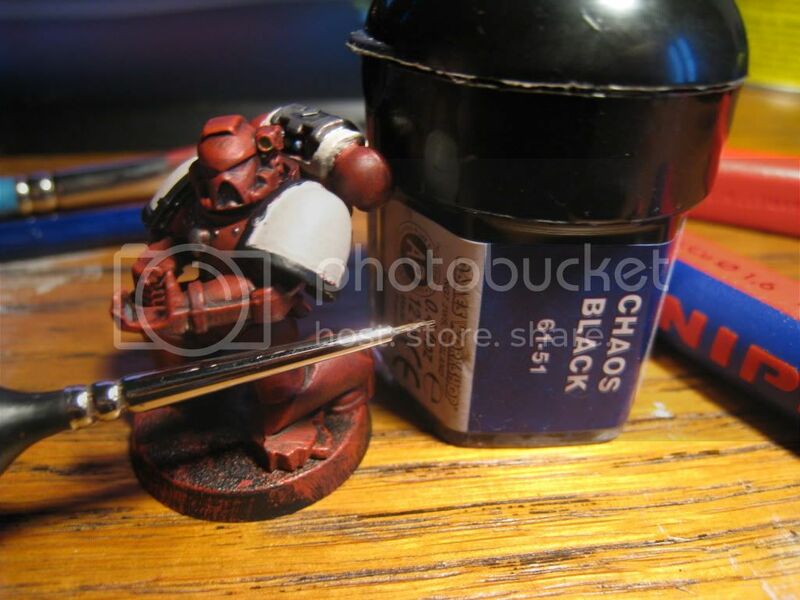 I did this with my size 5-0 brush, and also painted the two light-things on the rucksack-thing`s top front part. 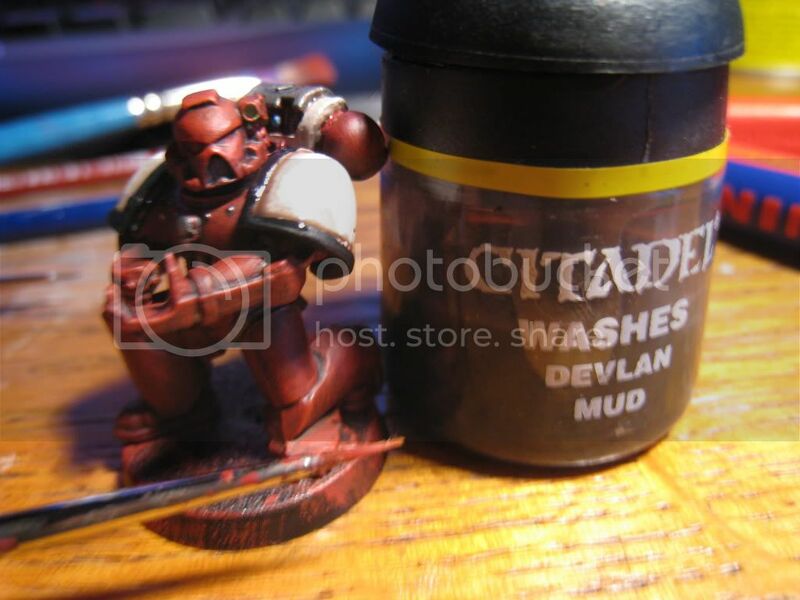 And last I washed his shoulder rims with Devlin Mud (citadel). I did this with my size 0 brush. Make sure to pull the paint outwards against the rim for a nice effect.